Captain Cook's at Disney Polynesian Resort is scheduled to be closing for a major refurbishment in late March. The quick service restaurant closes on 3/28/2014, and is expected to reopen in the summer of 2014. During the closure, a temporary quick service location will be setup in the Great Ceremonial House. The menu offering will be very similar, but there will be no Dole Whip offering. The temporary location will be operating daily from 6:30 AM to 4:30 AM. There will be a 'nightly curtain call moment featuring Star Wars characters,' but it is not clear what that will involve. 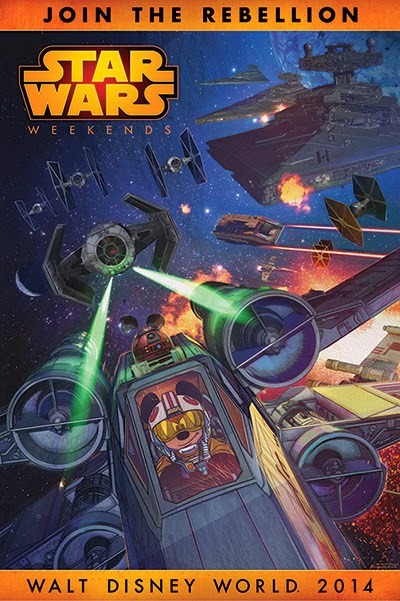 Disney also announced that an additional week will be added to this year’s Star Wars Weekends. This year's theme will be “Join the Rebellion,” and James Arnold Taylor will once again return as celebrity host. Still no word on which other Star Wars celebrities will be appearing. The moats around Cinderella Castle will have been drained as part of an extensive refurbishment for the hub. The details of which can be seen in this video from the Disney Parks Blog. As you can see a good bit of the landscaping will be removed and replaced with pathways. This should help to improve the overcrowding and traffic problems that occur almost nightly before, during and after Wishes!. Disney has finally revealed the start date for the new Disney Festival of Fantasy Parade. 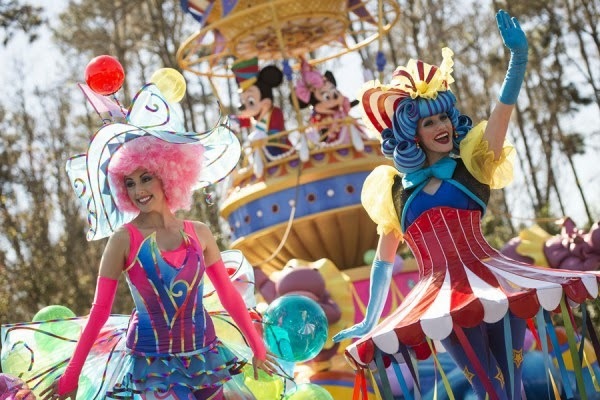 The parade will debut on 3/9/2014 at the Magic Kingdom. Preferred viewing near Cinderella's castle became available as a selection for Fastpass+ earlier this week. Walt Disney World will be increasing ticket pricing effective 2/23/2014. A single day ticket to increase by $4, which puts the Magic Kingdom at $99, and Epcot, Disney's Hollywood Studios, and Disney's Animal Kingdom at $94. Walt Disney World Annual Pass prices are also increasing with a regular Annual Pass seeing an increase of $25, up from $609 to $634 + tax. The Premium Annual Pass which includes water park admission increases from $729 to $754. For Florida Residents, an Annual Pass increases from $464 to $485. A Florida Resident Premium Annual Pass from $584 to $605, and a Florida Resident Seasonal Pass from $309 to $319. In addition to the ticket price increase, Disney has also offered a special ticket deal for larger parties. Get a free additional day on each ticket when you buy 6 or more 4-day or longer Magic Your Way tickets. Eligibility - Valid with party of 6 or more Guests. Ticket Requirements - Tickets are valid for one theme park per day and must be used within 14 days of first use. Offer Restrictions - All tickets and options are non-transferable and non-refundable, are only valid during regularly scheduled operating hours and exclude activities/events priced separately. A new bridge connecting the Marketplace to Disney's Saratoga Springs Resort is now under construction at Downtown Disney. Part of the Disney Springs project, the new walkway links Saratoga Springs Resort near to the original walkway running alongside the Marketplace. The Walt Disney World Resort hotel refillable mugs have a new design for 2014. 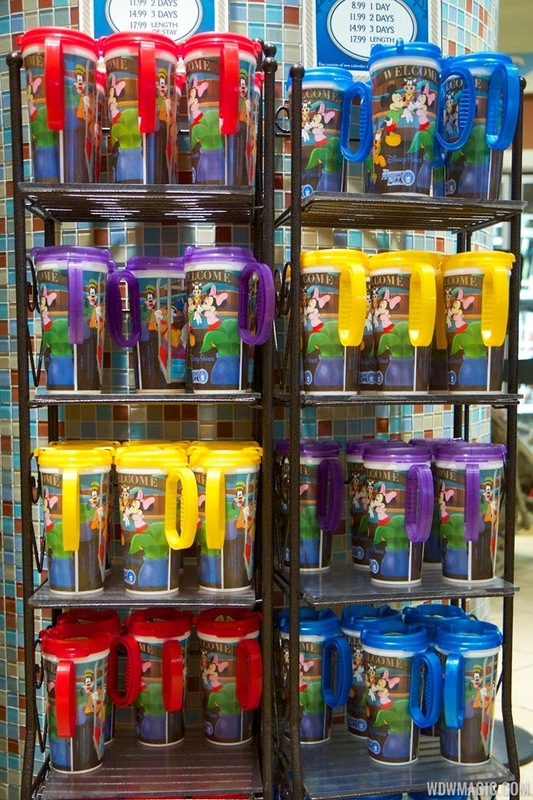 Being introduced now across the resorts, the new Rapid Fill mugs feature Mickey, Minnie, Donald, Goofy and Pluto. Colors appear to be limited to four, available in red, blue, yellow and purple. Click the gallery for photos. The Disney blog was nice enough to give us a near complete ride through of the new Seven Dwarfs Mine Train Coaster, which you can see here. Starting 3/1/2014, Disney will begin providing Braille menus at some of their theme park restaurants at both Walt Disney World and Disneyland Resort. The new Braille menus come in addition to all of Disney's other assistance for guests with vision disabilities, which includes a menu reading service that is also available at all Disney restaurants. All guide maps for the four Walt Disney World parks have now been updated to include FastPass+ enabled attractions, along with the FastPass+ kiosks and service center locations. The Magic Kingdom and Disney's Animal Kingdom maps were released early in the year, with Epcot and the Magic Kingdom now completed. The desktop and mobile versions of 'My Disney Experience' website now support changing your resort PIN code, saving a visit to the hotel front desk. You can find the PIN code reset in the 'Manage Payments' section of the website, and as well as changing your own PIN, you can also change any guests who are registered as family. The functionality is not yet available on the 'My Disney Experience' phone apps however. The PIN code is used by Walt Disney World Resort hotel guests to make purchases with RFID, such as MagicBands.